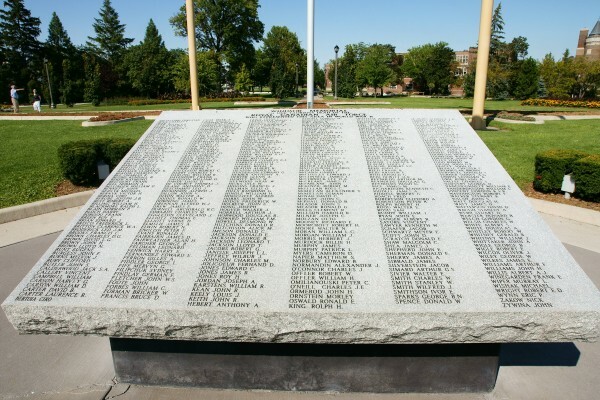 This memorial features replicas of a World War II Hurricane and Spitfire, and was installed in Jackson Park as a memorial to the war veterans in 2005 after the Lancaster Bomber was removed. Presently the Lancaster Bomber is in storage and undergoing restoration. 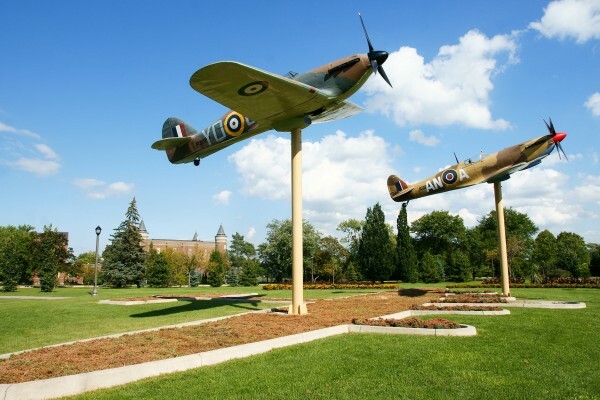 It is not forgotten though, as the shrubbery around the Spitfire and Hurricane has been shaped like the Bomber.